How to Set Ethernet Speed for Xerox Document Centre 460/470 ST | TonerGreen - Eco-Friendly Toners from the U.S. If you're using a Xerox Document Centre 460/470 ST machine, then you should definitely know the basic troubleshooting on how to set the Ethernet Speed for Xerox Document Centre 460/470 ST sourced from Document Centre 460/470 ST Network Installation and Troubleshooting Guide. Step 1 - Enter the Tools pathway. a.) Press the Access ( ) button. b.) On the keypad enter 1111 or the current password. Press the Enter button when finished. Press the Go to Tools button. c.) The Touch Screen will be used for the remainder of the data entry. Step 2 - Set or Change the Network Connection Speed. a.) Press the Connectivity and Network Setup button. b.) Press the Physical Media button. c.) Press the Ethernet button. d.) Select the desired network Speed 10MBPS (10 Megabits per second), 100MBPS (100 Megabits per second) or Auto (AutoSensing). e.) When finished with your changes press Save. NOTE: Auto-Sensing hubs may not arbitrate correctly with the Document Centre when Auto is selected. If your hubs/concentrators support the 100BaseT speed it is recommended you select 100MBPS in Step d below. Step 3 - Press the Exit Tools button. Step 4 - Wait a minimum of 7 minutes for the printer to reset. a.) Obtain a Configuration Report page from your printer. Looking for Xerox toner cartridges? TonerGreen offers a wide selection of eco-friendly remanufactured Xerox toner cartridges. Xerox brought laser printing technology to the market. Almost all people around the globe are acquianted with the brand as the biggest in the field of copiers. 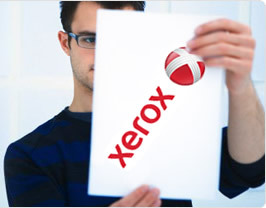 However, Xerox also has its line of printers that utilize Emulsion Aggregation technology. This technology helps lower the amount of wastes and energy consumption while ensuring high print quality. TonerGreen offers full line of remanufactured Xerox copier toner and Xerox toners for all your printing needs. Our remanufactured toner cartridges are guaranteed to work perfectly on your Xerox devices. Best of all, they are cheaper than OEM cartridges with hardly any difference in print and color quality.